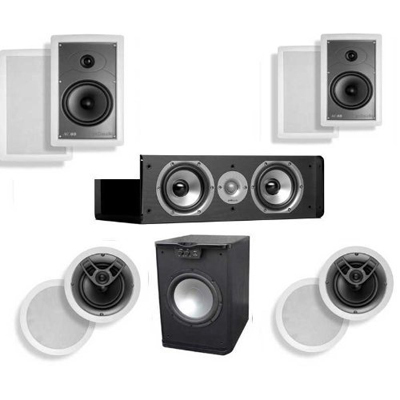 Make every movie night way more exciting with Polk's TL250 five-speaker system. These speakers use some advanced technologies to create incredibly lifelike sound that draws you into your on-screen entertainment. The four Blackstone satellite speakers and the Blackstone center channel speaker produce effortless sound with startling dynamics, especially given their small size. The front-firing bass port of the M10 Speaker adds deep, punchy bass response to an already dynamic bookshelf loudspeaker. The stylish M20 is the perfect value-minded introduction to dynamic full range floorstanding speaker sound. 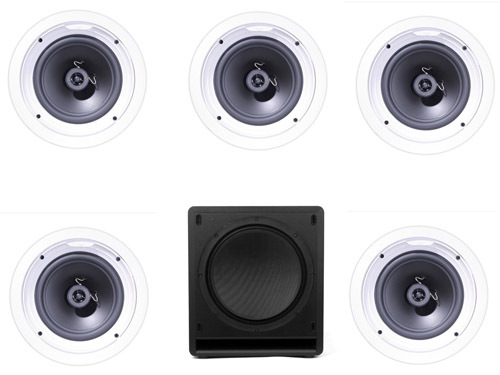 The silk dome tweeter & polymer composite driver components, in a wide-dispersion array, reveal lifelike sound: open, accessible, out-of-the-box sound, where every seat is in the �sweet spot.� A tuned front-firing bass port smooths blending, for serious low end with absolutely no performance-robbing resonances. 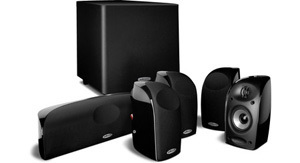 Ideal For Multi-Room Audio Systems-You don't have to spend a fortune to enjoy multi-room audio. 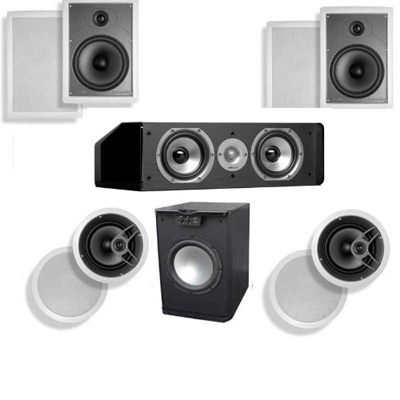 MC Loudspeakers bring great sound to any room for a fraction of the price of most built-in speakers. A high efficiency, compact design allows the Monitor 35B Bookshelf speaker to reveal the classic Polk sound (open, spacious and clear) even when driven by modestly-powered amplifiers and receivers. Place it on stands or hang it on the wall, in a home theater or stereo music environment, and experience the thrill of authentic audio. High efficiency design in a dual-driver bookshelf size gives you more options for high performance audio. Let the 45B reveal the classic Polk sound (open, spacious and clear) in mid- to large-sized rooms (driven by even a modestly-powered amp or receiver). The 45B mounts on the wall, or on stands (available separately). 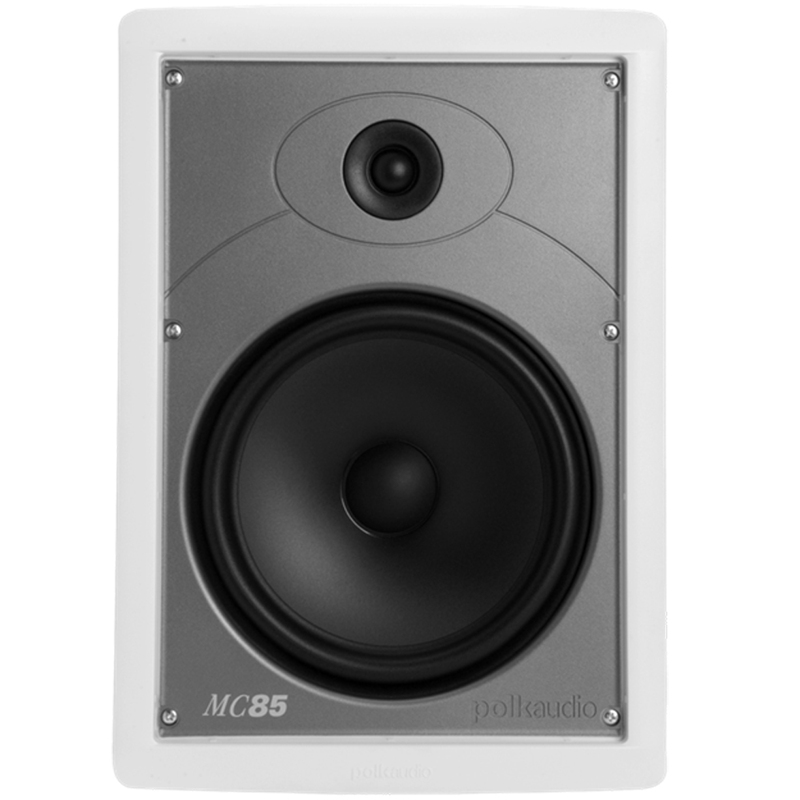 High efficiency design allows the Monitor Series to reveal the classic Polk sound (open, spacious and clear) even when driven by modestly-powered amplifiers and receivers. This compact floorstanding model deals out the high performance audio in a smaller space, without sacrificing dynamics or soundstaging. The Monitor 65T is a great compromise between size and performance (performance always comes out on top). With a high efficiency enclosure design, the 65T reveals the classic Polk sound (open, spacious and clear) even when driven by modestly-powered amplifiers and receivers. 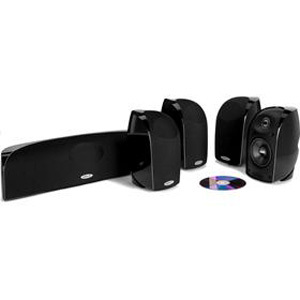 For stereo music, or big home theater front-stage thrills. This high efficiency floorstanding speaker is the flagship of the high performance Monitor Series. Its multi-driver design and non-resonant enclosure delivers the classic Polk sound (open, spacious and clear), even when driven by modestly-powered amplifiers and receivers. Its size guarantees a bold, realistic audio experience whether you�re building an extreme home theater or a sensitive stereo system. High efficiency design allows the Monitor Series to reveal the classic Polk sound (open, spacious and clear) even when driven by modestly-powered amplifiers and receivers. High efficiency design allows the Monitor Series to reveal the classic Polk Audio sound (open, spacious and clear) even when driven by modestly-powered amplifiers and receivers. The high efficiency design of this classic floorstanding loudspeaker allows it to reveal the classic Polk Audio sound (open, spacious and clear) even when driven by modestly-powered amplifiers and receivers. This is the hallmark of the stylish Monitor Series. This high efficiency, multiple-driver design allows the Monitor 70II floorstanding loudspeaker to better reveal the classic Polk sound (open, spacious and clear), even when driven by modestly-powered amplifiers and receivers. 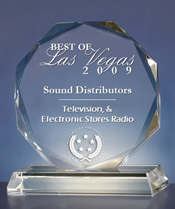 This is a hallmark of the classic Monitor Series speakers. 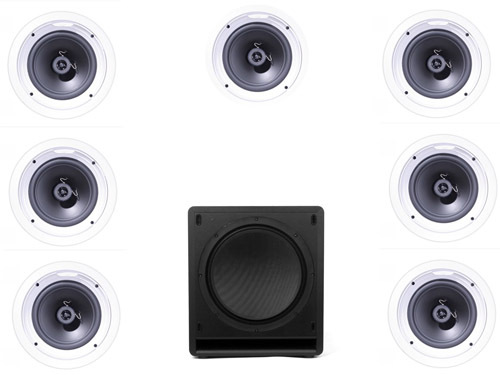 Cascade Tapered Array technology delivers big bang for the buck, with maximum bass, detailed imaging and clear midrange. Solidly built for solid performance, the R150 can be used to build a small system, or used to add speakers to any other system. A rear-firing bass port adds surprising low end, and doubles as a built-in wall-bracket. 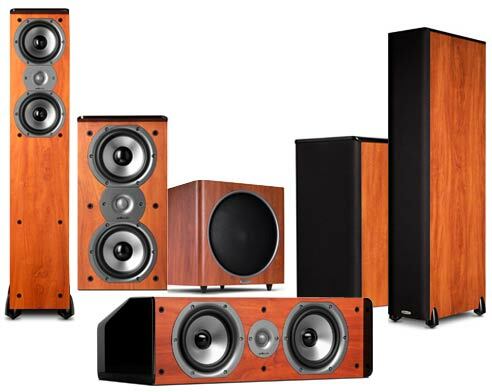 The beautiful, high quality R300 is a great introduction to the wonders of full range dynamic floorstanding speaker sound. The silk dome tweeter & polymer composite driver components reveal lifelike audio, with realistic imaging and detail and a broad soundstage. A tuned rear-firing bass port smooths blending, for serious low end with absolutely no performance-robbing resonances. Ah, to have a flat panel speaker that matches the flat panel television. No more speaker boxes strewn about the room, no more wiring clutter. And yet, no sacrificing audio quality or deep bass effects for movies and even gaming. 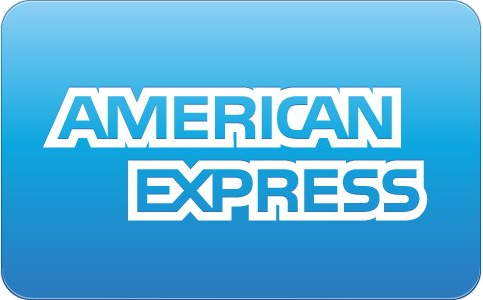 We can dream, can�t we? And we can... stream, now, too! Because the incredible SurroundBar 5000 IHT features Bluetooth Wireless Technology for clear, loss-less streaming from mobile gadgets like smart phones and tablets. Now your music can be heard, in dynamic CD-quality reproduction, with no wires and no complex setups or calibrations. Polk engineers have designed the ultimate Bluetooth speaker that�s also the ultimate single-speaker home theater & subwoofer system: The SurroundBar 5000 IHT. Keep streaming! This Instant Home Theater is about more than creating sound far beyond what any TV speakers can produce. The 9000 is about transforming your flat panel into an amazing home theater experience. Polk technology and innovation make this possible. For starters, you�ll hear superior center channel intelligibility thanks to the Optimized Center Array, a feature that employs all of the bar�s drivers. Then, like real component systems, we use the critical 80Hz crossover point for bar and sub to minimize localization of the sub and create the ideal blending. But perhaps most impressive, we�ve created a component quality sound bar that reproduces true 5.1 channel audio in DTS or Dolby Digital. When you augment those surround formats with our proprietary SDA� Surround Technology, you�ll hear why the SurroundBar 9000 IHT is the best sounding bar/subwoofer system. The front-firing bass port of the T15 Speaker adds deep, punchy bass response to an already dynamic bookshelf loudspeaker. The TSx110B is a Polk classic, with Polk�s Dynamic Balance Driver Technology leading the way for great sound. By "sandwiching" layers of special materials, Polk engineers have achieved the perfect recipe of durability and strength in their bi-laminate cone design, plus lightweight efficiency. It took years of intricate analysis, and testing materials on a microscopic level using our patented laser-based Dynamic Balance process. Using just the right materials enables us to tune out performance-robbing resonances before they occur. In other words, we leave out the stuff that you won�t like in your audio, so you hear more of the good stuff. 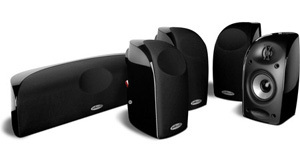 Larger scale bookshelf loudspeakers deliver the punch of towers in smaller packages. You can be more flexible with your installation and placement. 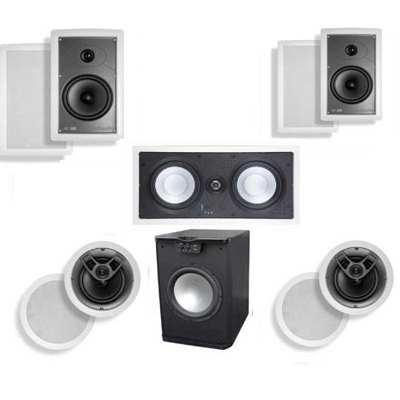 Bookshelf speakers can be placed on stands, within audio furniture, or even hung on the wall. 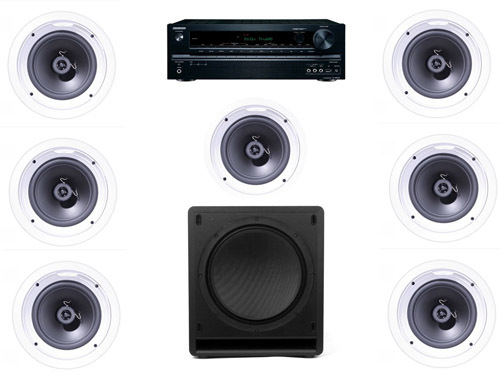 Plus, you can build complete surround-sound systems with bookshelf speakers. Or, you can use bookshelf speakers as your rear surround speakers when you use towers as your front stage left and right speakers. The possibilities are practically endless. And with Polk�s new TSx Series, which improves on past models with updated technologies and ingenious enclosure designs, you don�t have to strain your imagination or your wallet to achieve high performance sound. Is there still a place in our lives for floorstanding loudspeakers? Everything is getting smaller, everything is becoming micro and mini, compact and portable. We�re living in smaller spaces, and we�re convincing ourselves that we should have "less stuff." At what point does sacrificing our stuff or our space end up sacrificing our inner joy? This is that point. Introducing a compact floorstanding loudspeaker that takes up less than a cubic foot of floor space, but delivers high performance audio that is anything but micro and mini. It�s another bold statement of the TSx Series: Hang on, ma, we�re going in! And we�re going to celebrate the big sound we love! If you've never experienced the power and majesty of music reproduced at lifelike volume levels in your living room, you owe it to yourself to meet the TSx 440T Floorstanding Loudspeaker. Midsized, to fit comfortably in almost any room, stylishly designed, to compliment any decor, and efficiently driven, even by the most modest electronics, the TSx 440T delivers the classic Polk sound. Natural and enveloping, with well blended lows and detailed highs, for clear vocals and a dynamic soundstage, this is the loudspeaker that makes a bold audio statement without drawing attention to itself. Your smartphone. Your computer. Your coffee machine. 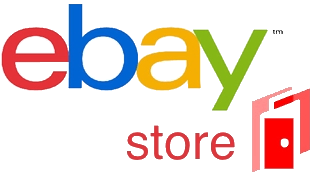 It�s an elite group of inanimate objects that you can really claim to love in a deep, meaningful sense. Even if you�re merely appliance speed-dating, it will be obvious that the new TSx Series from Polk is worthy of your affections. Shapely curves, sure, but also brains and stamina; an inner technological glow that signals joy. Whether you�re building a high performance music system, a stereo pair, or the front stage of a home theater to rival your local cinema, the TSx550T, the three-way, dual woofer tower that leads the TSx Series, is a bold statement of your love for your own personal kind of entertainment.